Hailed by The New York Times as an “Exemplary Leader” for leading members of New York Philharmonic and Manhattan School of Music in Carnegie Hall, violinist Daniel Andai has shared his versatile artistry as soloist, recitalist, chamber musician, concertmaster and recording artist in major concert venues across five continents, the Middle East, Caribbean, and over 30 United States. Daniel Andai won prizes at national and international competitions and soloed with orchestras in Europe, Russia, North, South and Central Americas. 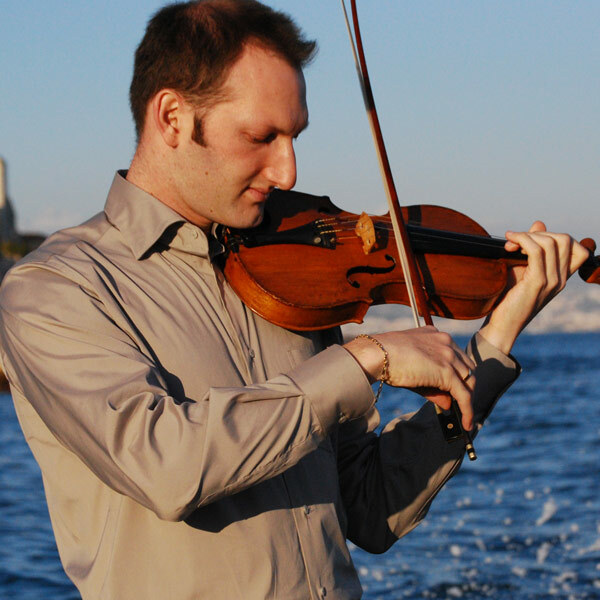 Daniel Andai is concertmaster of The Miami Symphony Orchestra (MISO) and founded MISO Special Development Program. He was formerly concertmaster of Philharmonic Orchestra of the Americas with whom he toured and recorded as soloist on SONY Label CD’s and led orchestras as guest concertmaster in the U.S., Brazil, Mexico, Switzerland, and France. He also performed in violin sections of New York Philharmonic and Miyazaki Orchestra (Japan). Dr. Daniel Andai is currently Dean of Music at New World School of the Arts, a partner of Miami Dade College, University of Florida and Dade County Public Schools in Miami. He was previously violin professor and Marialice Shivers Endowed Chair in Fine Arts at University of Texas Pan American. He is a KMF alum.